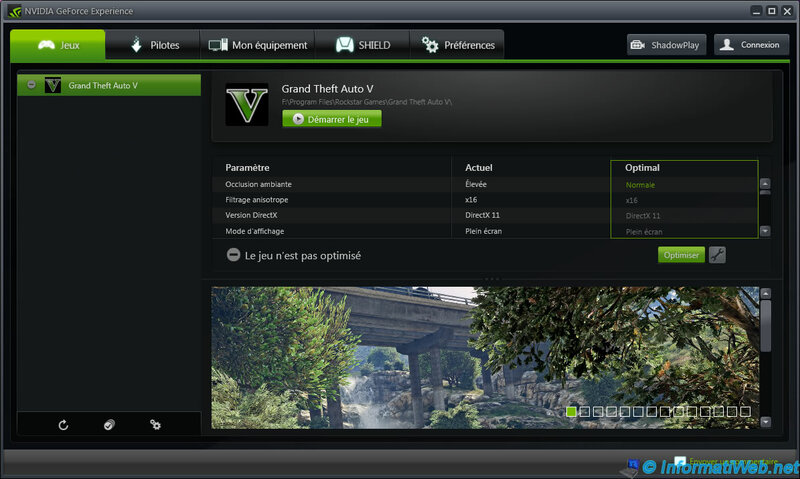 To optimize your games, just install Nvidia GeForce Experience. Once installed, go to the tab "Drivers" and click on "Check for updates". 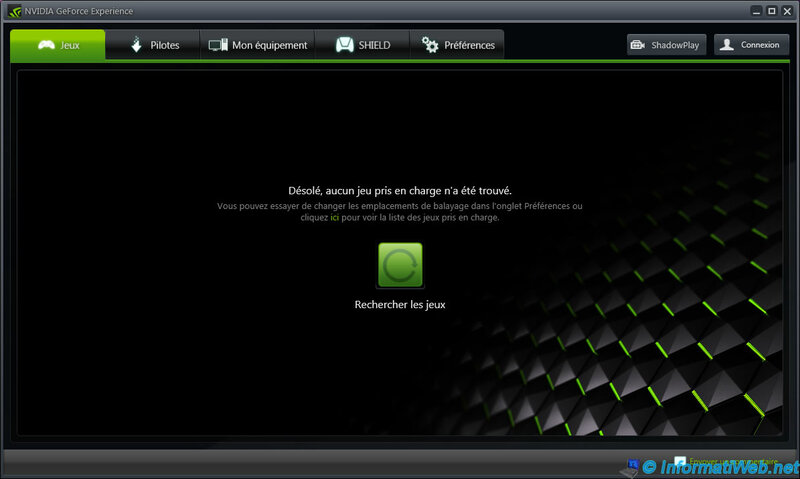 Note : By default, Nvidia GeForce Experience is configured to notify you when an update is available for the driver of your graphics card and for the Nvidia GeForce Experience program. 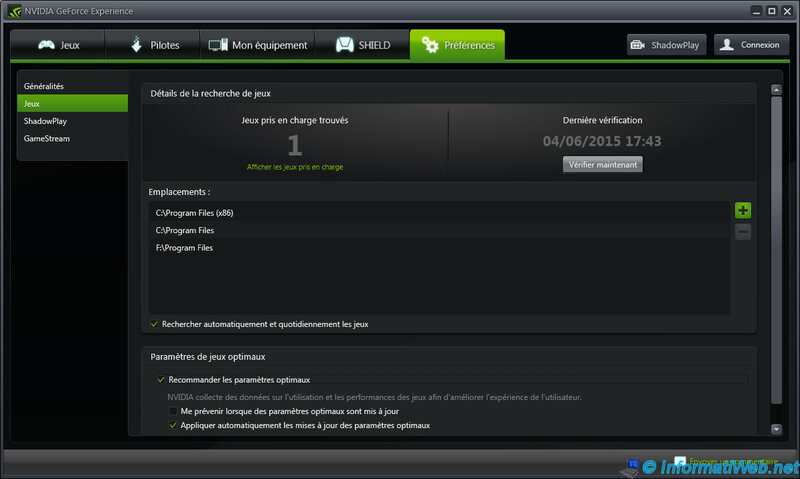 So, Nvidia GeForce Experience will also allow you to keep your graphics driver updated. 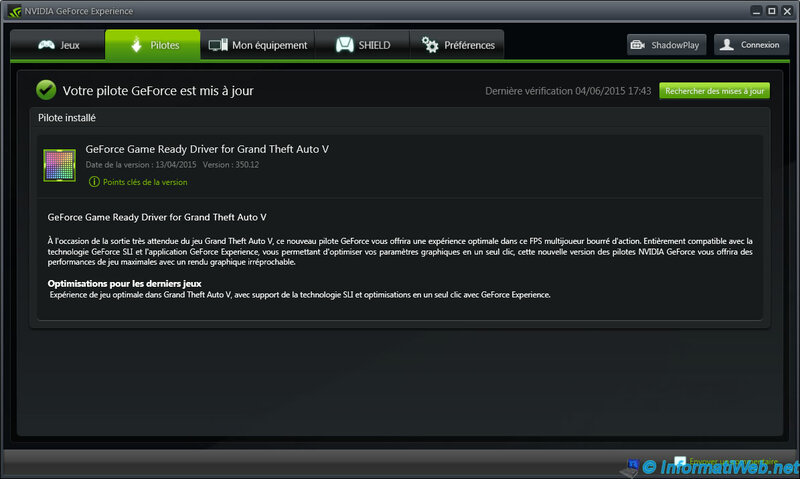 Info for GTA V : As you can see, the update "350.12" is designed for Grand Theft Auto V. So, we recommend that you install this version or a newer version in order to play GTA V in the best conditions. Then, for allow Nvidia GeForce Experience to detect all your games, you may need to add the necessary locations. By default, the program will scan only : "C:\Program Files" (+ "C:\Program Files (x86)" for 64-bit OS) folders. To add a location, click the + to the right. Then, click on the "Scan for games" button in the middle of the window or on the icon at the bottom left of the game list. To optimize a game, select it and click on the "Optimize" button. Now, your game is optimized.